Advanced technology, predictive analytics, trinket rewards, in-cab amenities and more are leading trucking companies to invest more and more in items that miss the mark for long-lasting ROI. Instead, these creature comforts offer short-term relief when it comes to driver retention, but fail to address the deeper issues many trucking companies face. Investing in relationships, treatment, recognition, and company culture provide far greater ROI on retention without the large investment in flashy technology that falls flat. A recent article by former TCA Chairman Ray Haight talked about why to quit investing in rewards for your drivers and start investing in your culture instead, and the philosophy behind that is exactly in line with what we believe here at People Element. Many agree with this hypothesis, but a general consensus without data means nothing. So what do the numbers say, anyway? When looking at exit survey questions from preventable exists (drivers who left for a reason that was under the company’s control), we can quickly spot a pattern – poor culture leads to low driver retention. When we examine open-ended comments from exit data, the usual suspects are always at the top – money, miles, and time away from home. The answer then, is not to simply throw more money at drivers when you’re already offering a competitive pay package. Instead, it’s important to examine other factors – something happened along the way that made the driver feel like they weren’t getting a good deal, and so the balance of the scales tipped. 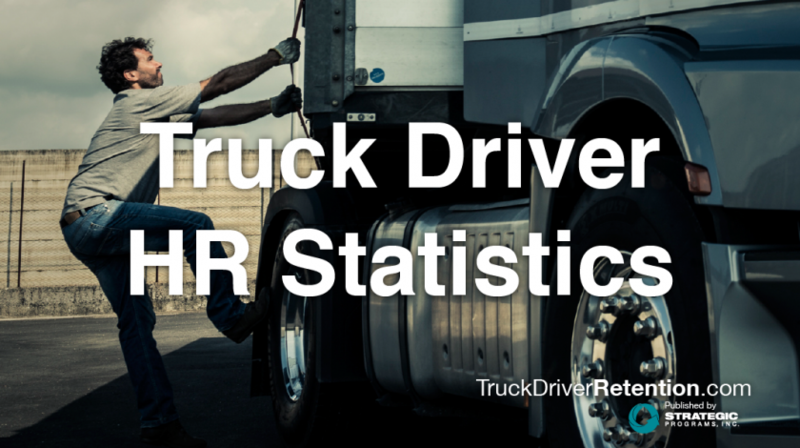 When drivers feel they aren’t getting paid enough, it usually correlates with something else in the data – typically the tie between dissatisfaction with compensation and feeling unappreciated is immediately obvious. When your drivers feel like nothing more than a number, numbers suddenly become much more important. Lapses in planning, communication, and treatment by managers create complaints about money and home time. Trucking is naturally a tough business, but there are ways to account for this need for culture despite time spent on the road and adjust to keep your best drivers with you much, much longer. When we compare our clients that have strong cultures, high employee and contractor engagement, and low turnover, we find the experience of working with these companies to be quite different than those with high turnover and less prevalent culture. After poring over the data and seeing similar trends emerge, we are able to help high turnover companies ditch the excuses about why action can’t be taken or why it’s tough for drivers to have a voice and focus on where adjustments can be made instead. With our guidance and insight, we’ve seen companies carefully think about how their actions affect their drivers and non-drivers alike. They see challenges as opportunities and refuse to make excuses, understanding that profound, lasting change starts at the top. Your expensive investment in predictive analytics may tell you that Bob is prone to an accident or Steve may be likely to quit. What it will not tell you, however, is the “why” that led to these “proof points.” If you take the time to dig a little deeper, you’re likely to find out these markers may be indicative of frustrations with their role. In these instances, a reactive approach is called for whereas if you had invested in improving your culture first, you would likely not be staring down the barrel of a crash or unnecessarily lost employee. Set the tone at the top that you care about your culture and it will trickle down. Invest in training your managers well. Invest in providing recognition and praise for high performers. Think of it like this – you can buy your significant other all the best things, but if you don’t treat them right and work together to build a future you both believe in, your relationship will fall apart. Drivers are no different. Invest in your culture and watch your driver relationships flourish in quality and longevity.